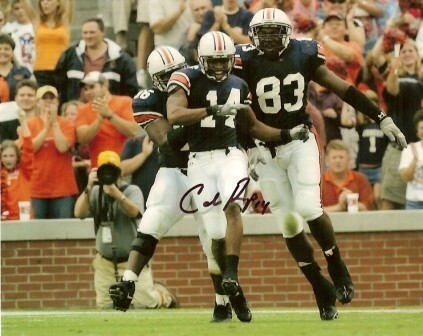 Now he is in the NFL wreaking havoc on offenses, but before that Carlos Rogers was an All American star at Auburn. This color 8x10 has been hand signed by Rogers, and features him in his Tigers uniform. It was signed during a private signing with Exclusive Sports & Promotions, and includes a Certificate of Authenticity from Collectibles of the Game and a money back guarantee.